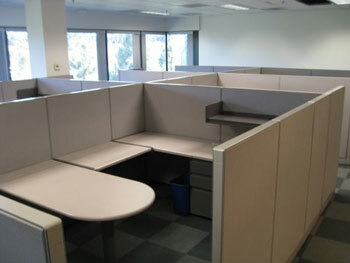 Description: (45) 6 X 6 56" Fabric Paneled Cubicles with storage. 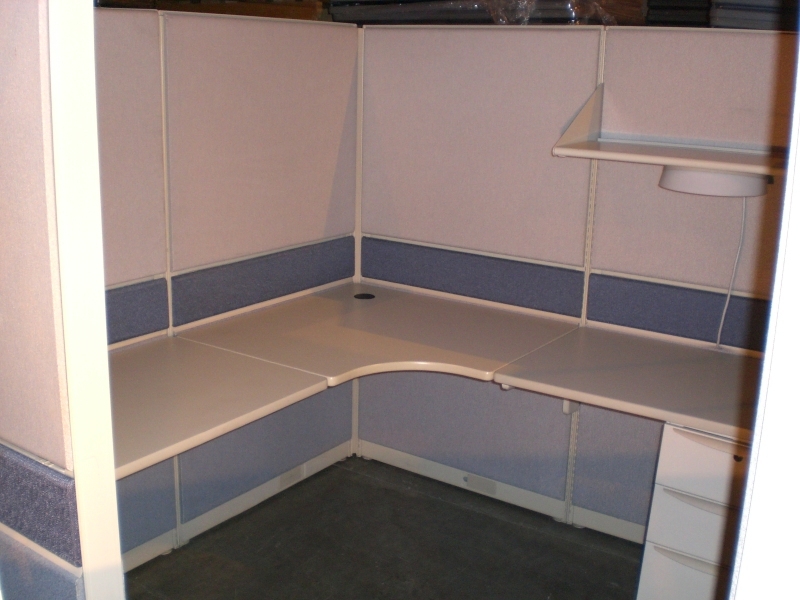 All workstations include: - (2) Storage Pedestals Entire lot available for purchase as well. Please call Talimar Systems at.. 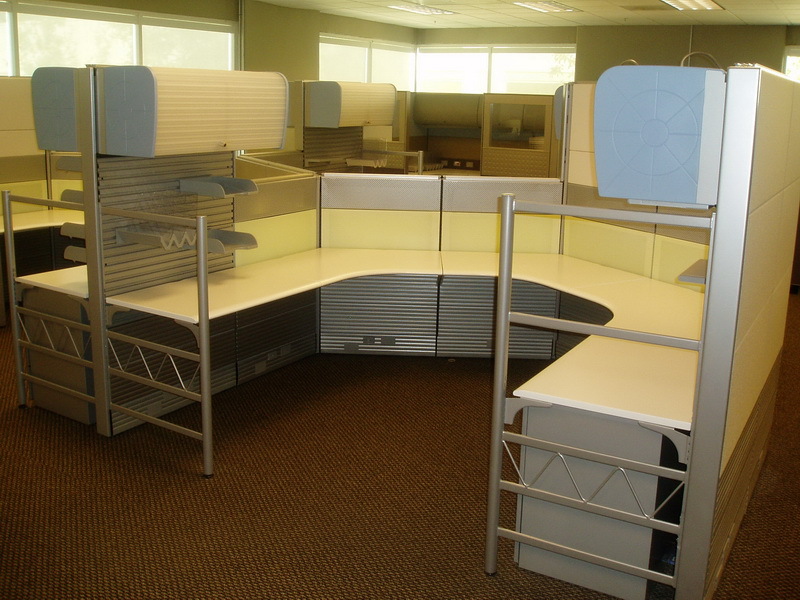 Description: These 30 Stations of Steelcase Workstations are standing in southern CA. Availability is now. Each station is 7.5 x 7.5 x 53" high. 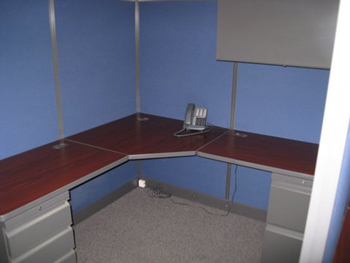 Components include 4 drawers 30" wide, 1/2 height shelf, and a full .. 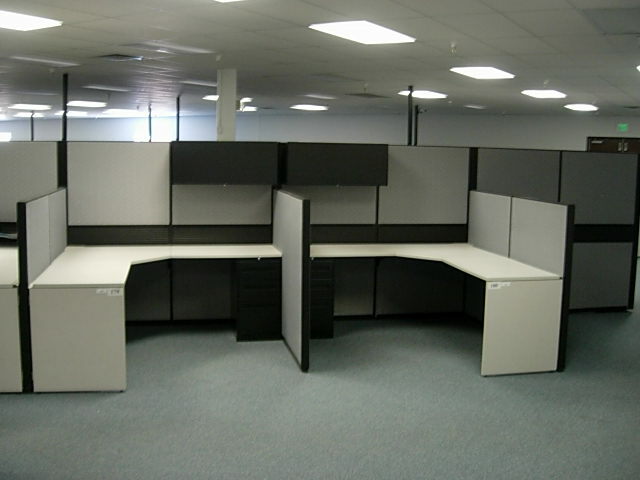 Description: 30) 6X6 workstations in good condition with 1) bookshelf, 1) box/box/file pedestal and 1) file/file pedestal. 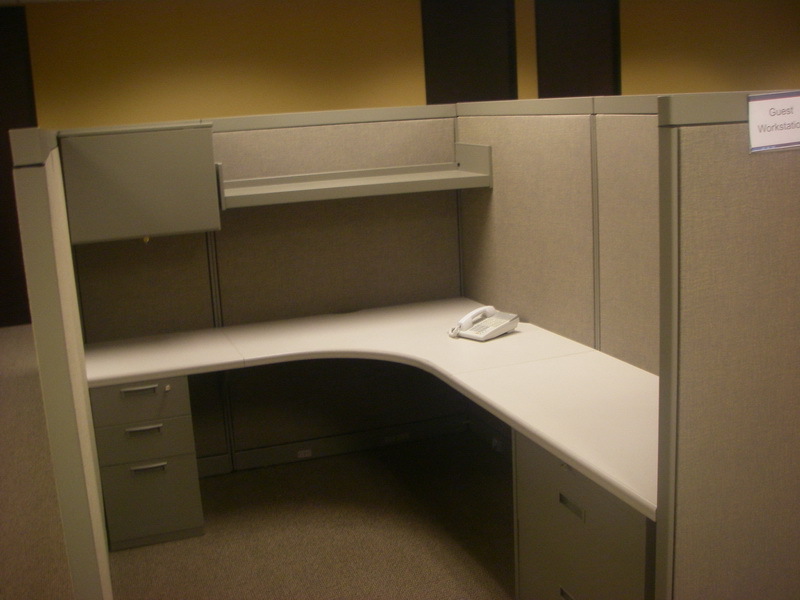 Description: (48) Clean Herman Miller cubicle workstations with glass frames. 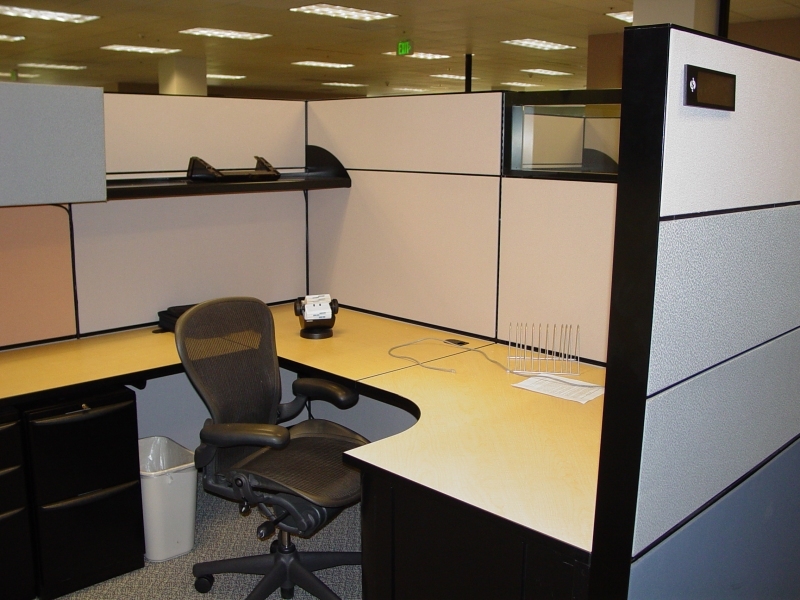 Each workstatios includes: (2) locking overhead bins (2) tasklights Box/box/file storage pedestal (2) tackboards Upgraded step-do.. 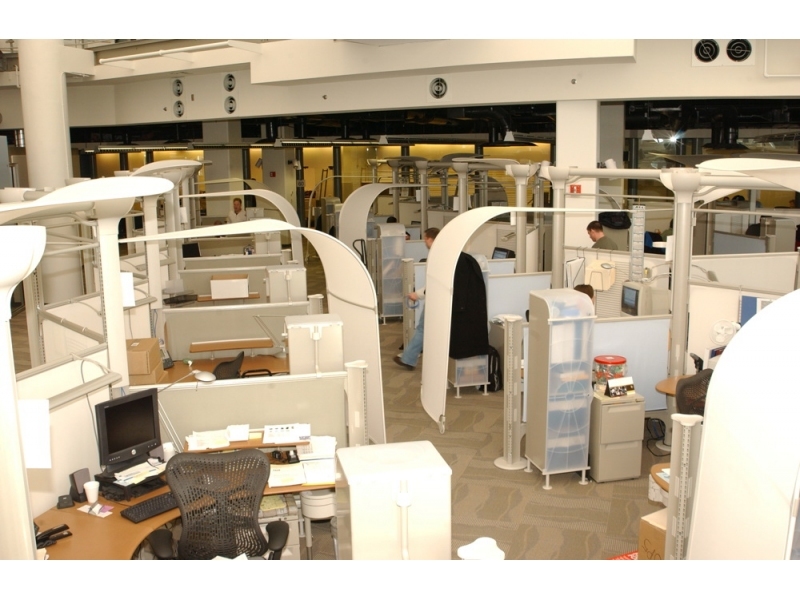 Description: 25) beautiful 8X8 stations of Herman Miller Resolve with golden chamois extended boomerangs and metallic champagne poles, arms and trusses. 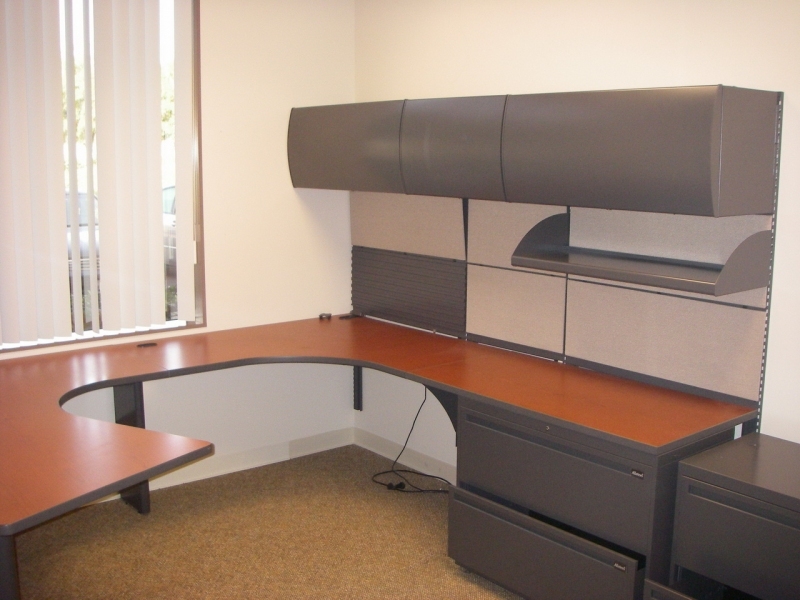 Description: 24 Steelcase Enhanced 53 inch high WorkStations. Condition is 8 out of 10. Location is Northern CA. Available Now. Description: 8 x 8 - 67" High Storage won't be an issue in this tiled inventory that features a 4' flipper door, a 4' open shelf, a 6/6/12 pedestal and a 12/12 pedestal. 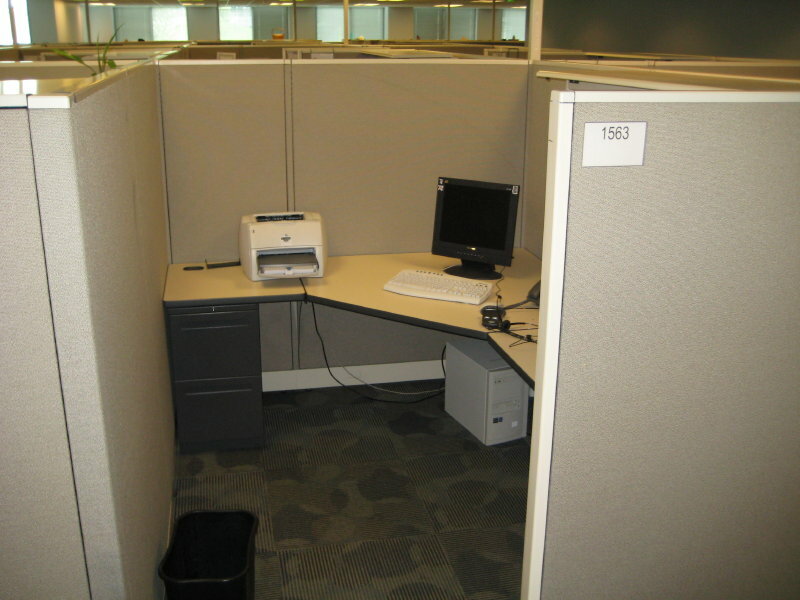 Your employee work area is also.. Description: 7.5 X 7.5 - 66" High . These stations come with a plethora of storage, 4' flipper, a 6/12 ped and a 12/12 ped. 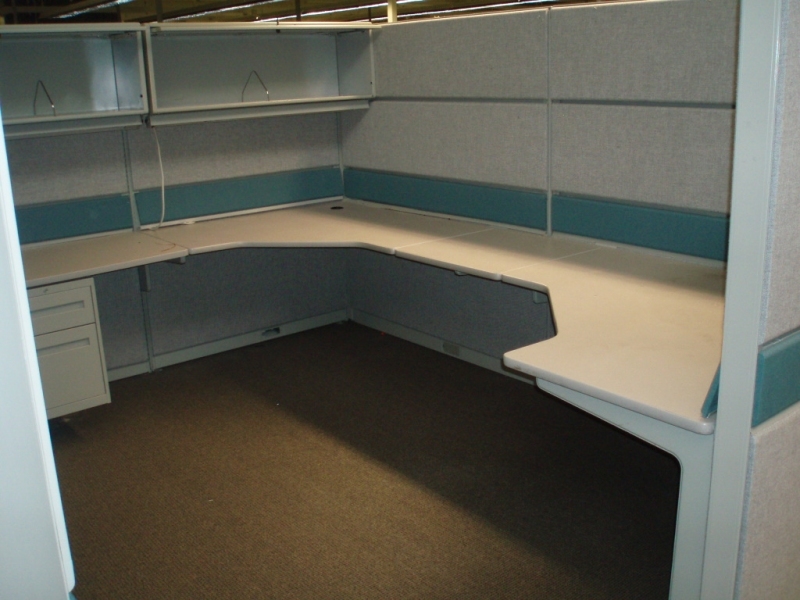 They also have a pair of 48" x 30" corner work surfaces, a 48" x 24" straight w.. Description: 6 x 6 - 66" High. A 6/6/12 ped and a 36" open shelf with light make up the components in this inventory. Fabric, trim and laminate are beige, access door is blue. Inventory #24188. 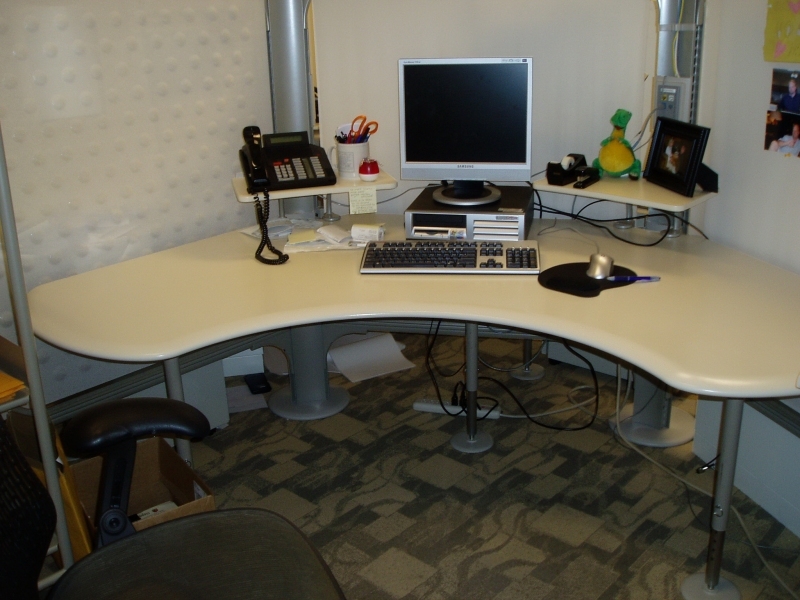 Description: 5 x 5 - 60" High A 5' Boomerang work surface anchors these modern stations. 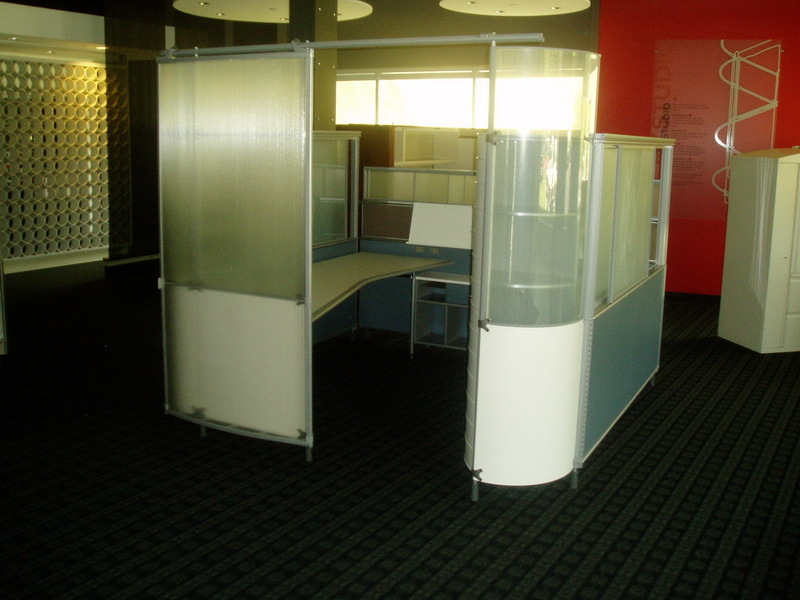 They are chock-full of amenities, including a canopy, shelving units, a mobile padded 6/12 pede.. Description: 1 station of My Studio. I have another 4 stations with earth tone colors and 1 station with blue. This station has blue fabric, like new in excellent condition with the tall panels on the exterior and.. 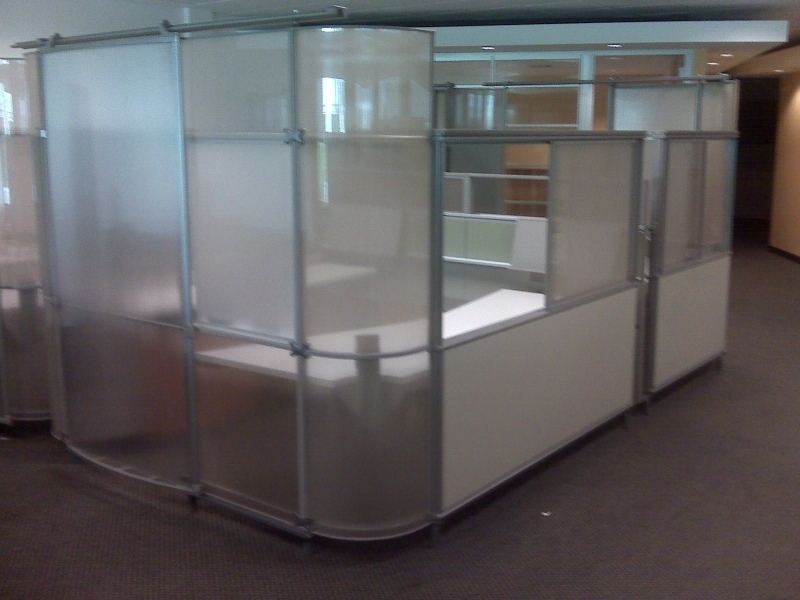 Description: (30) 6 X 8 62" Glass Wings & Fabric Paneled Cubicles with storage. 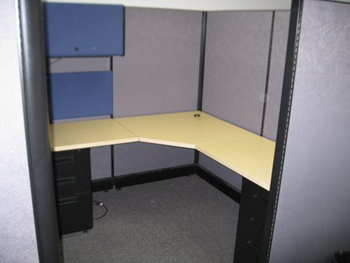 All workstations include: - (1) Storage Pedestal and (2) Flipper Door Storage Bins Entire lot available for p.. 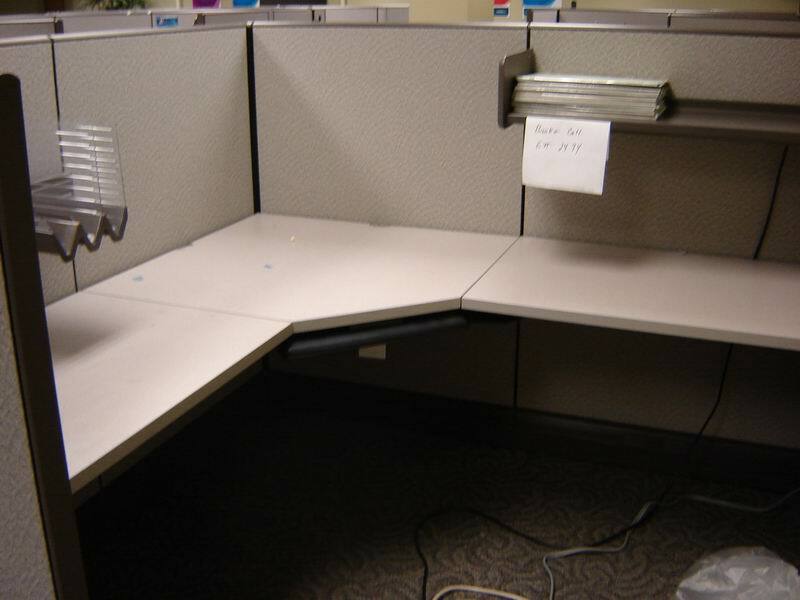 Description: (9) 9 X 9 Private Office Setups - All workstations include: - (3) Locking Overhead Bins - Tasklights & Tackboards- (1) Storage Pedestal - (1) Lateral File E.. Description: 6 x 6 - 66" and 50" High. These high low stations are stylish, affordable and fashionable. A 36" flipper door with light and a 6/6/12 pedestal handle storage nicely. All surfaces are .. Description: 6 x 8 - 67" High This inventory has a plethora of storage at a price that won't break the bank. It has a flipper door with light and an open shelf. It also has a 6/6/12 and a 12/12 p.. Description: 6 x 6 - 66" High. Light colors will help chase away the blues on those early morning projects where not even coffee seems to do the trick. With a 3' flipper and a 3' open shelf, along.. 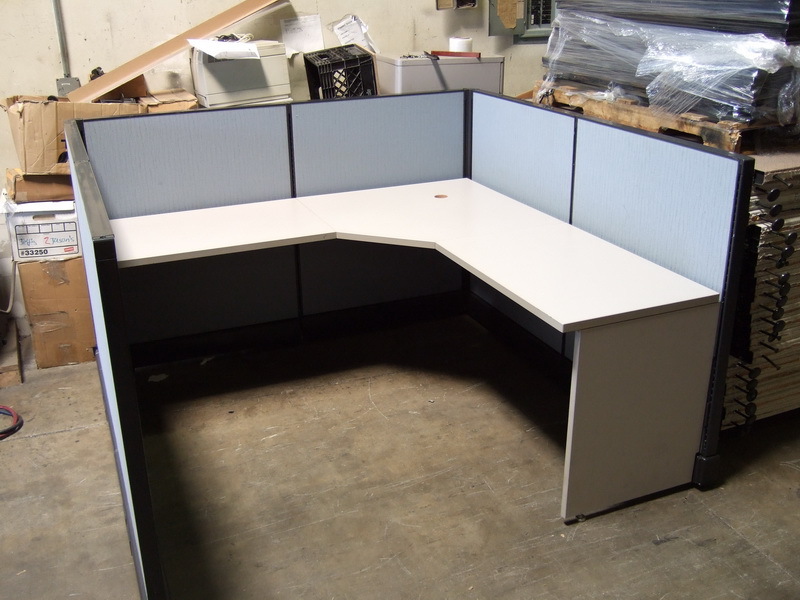 Description: 7 X 7 - 42" High Great for a group environment, these stations feature a 3/6/12 ped, a curved split 48" X 30" corner and two 36" X 30" straight work surfaces. Trim and laminate is Ne.. 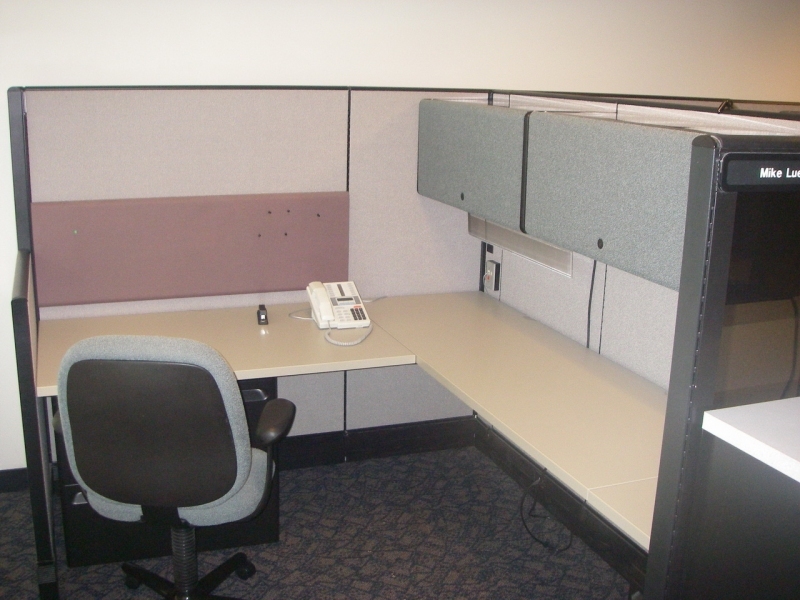 Description: 8 x 8 - 66" High We like these stations so much, we installed them in our own office. They come with a a 4' flipper door with light, a 6/6/12 pedestal, a 36" mobile book case and freestand.. 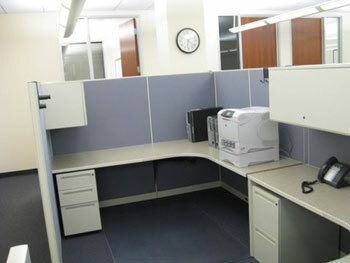 Description: 60 Kimball Interworks Office WorkStations. 1 0verhead and 1-shelf per cubicle. 1-BBf and 1-FF per station. Condition is 8 out of 10. Location is Northern CA. Available November 15, 2008. 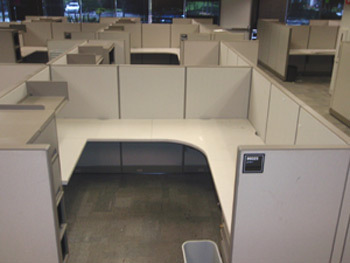 Description: 50 AllSteel Call Center Workstations, each with 1 bf. 53 inches tall. Available now in Irvine, California. 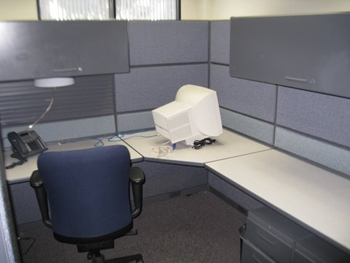 Do not miss out on these quality preowned workstations. 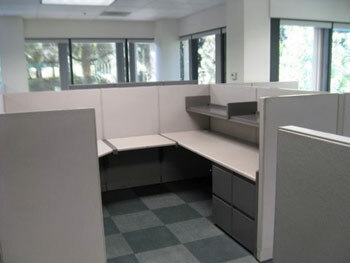 Description: Located in San Diego CA are 55 Haworth Unigroup workstations. 6 x 6 and 51 inches high. Condition is 8 out of 10. Available now. Description: 100) 6X8 stations of Resolve with soft white extended boomerangs, metallic champagne. 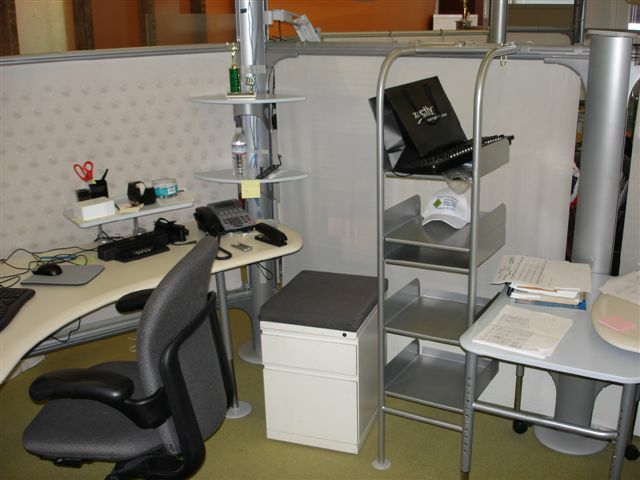 every station includes a rolling BF pedestal, 1 ladder shelf, a tool rail with paper trays and bookshelf. Description: s Hon inventory is really clean (9 out of 10) and perfect for a smaller, quick project. 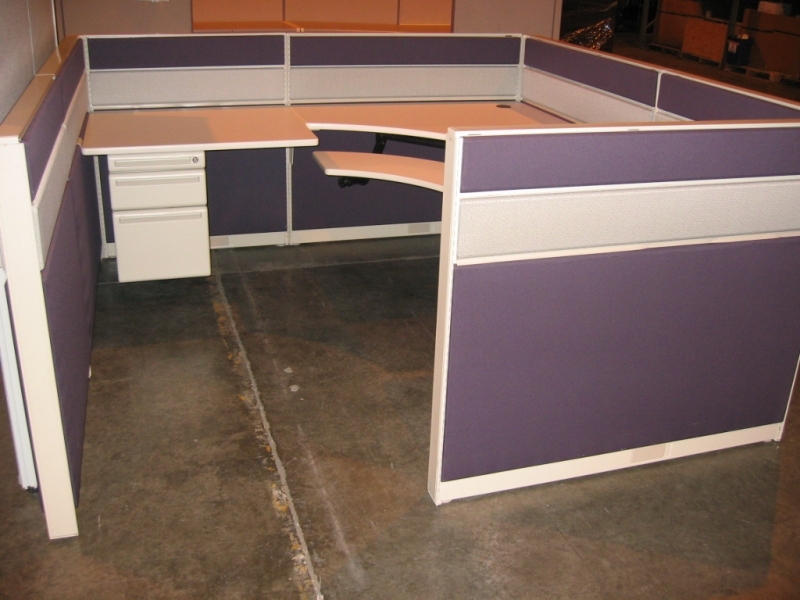 49" high; 6 x 7 stations, lovely neutral color; 30" open bin. Also in this lot are 6' maple LH Laminate U-shaped.. 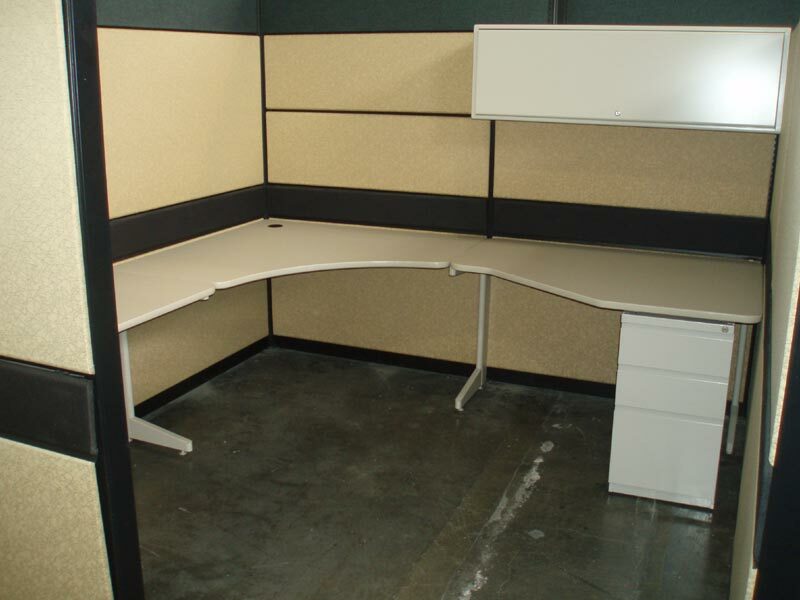 Description: 35 Steelcase Avenir workstations 6 x 6 x 65" high each having (1) 72 inch open shelf, 1-BBF 1-FF pedestal & a task light. These stations are in outstanding condition and a solid and functional choice .. Description: Sizes vary from 6 x 6, 6 x 8, 7 x 7, 8 x 10, 10 x 10. 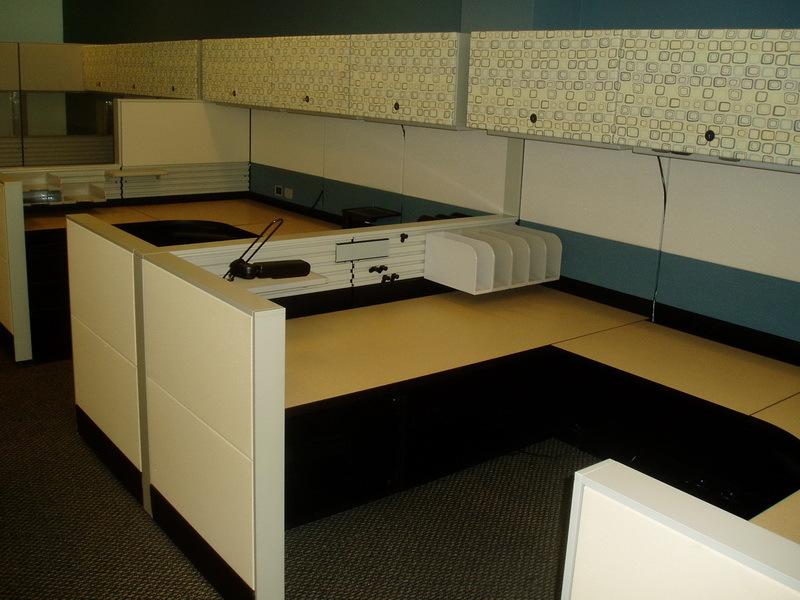 Loaded with BBf file pedestals, overhead storage bins, and more. Available November 25th in San Diego. Condition: 6.5 - 7 out of 10. 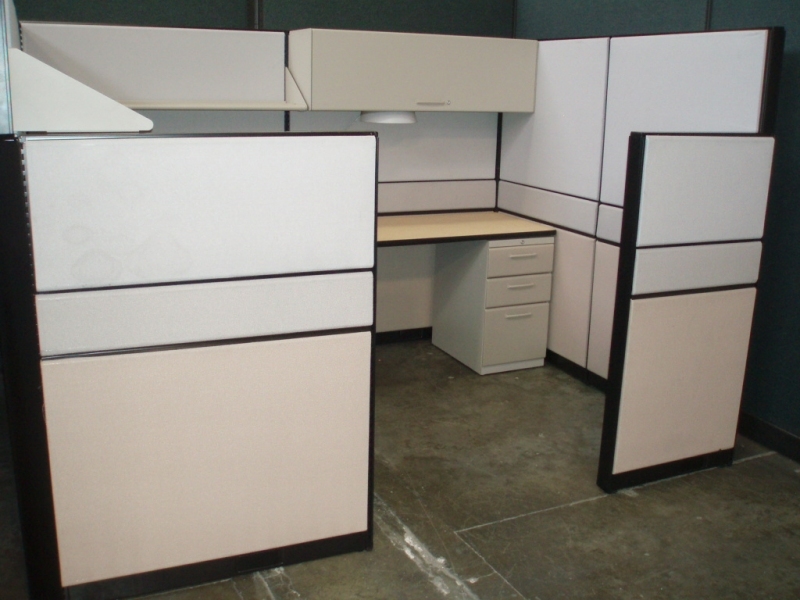 Description: (41) 8 X 8 Glass/Laminate/Fabric 69" and 56" high panels - Available for $800 each.All workstations include: - (2) Locking Overhead Bins - (2) Tasklights - (1) Storage Pedestal - (1) Lateral File Enti.. Description: 4) Stations of Herman Millers new Ethospace Extensions with formcoat work surfaces, metallic silver trim and citron yellow tiles. 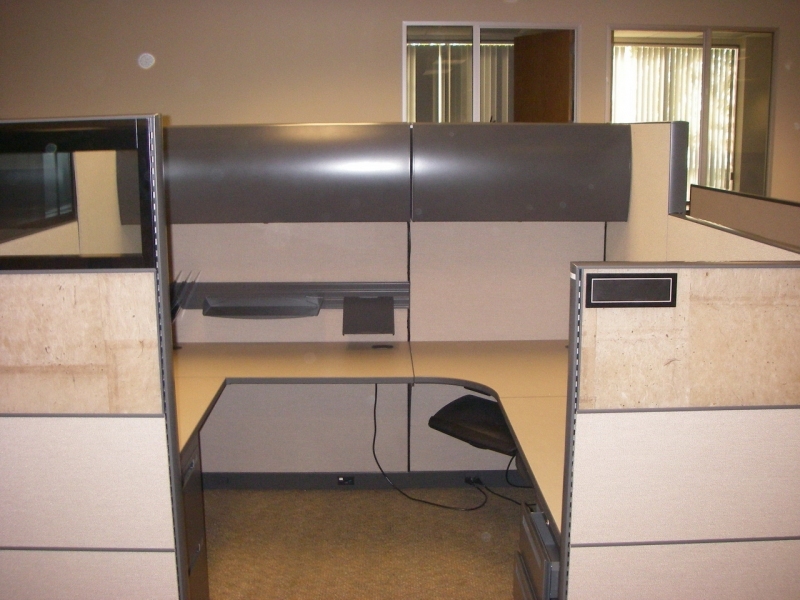 Every station has a box/box/file pedestal, 2 drawer lateral file, pape.. 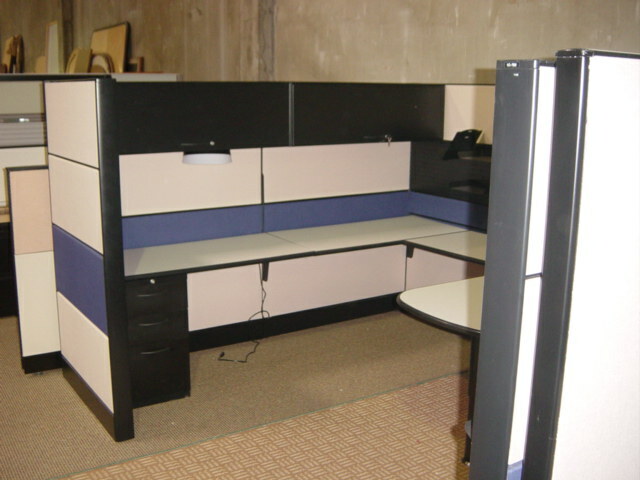 Description: MFC Workstations has for sale 10 Teknion TOS Workstations, with two mobile BF pedestals, 1-48" overhead and 1-36" overhead. 7 x 6, 66 inches tall. Available now in San Diego, California. Condition: 8 .. Description: 4 plus 1 station of My Studio. I have 4 matching stations with earth tone colors and 1 station with blue. These 4 stations are earth tones, like new in excellent condition with the tall panels on the .. 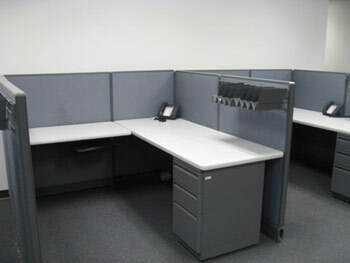 Description: 9 6 x 6 Allsteel office workstations. 1-36 inch overhead, 1-BBF and 1-FF per station. Available now in San Diego. Condition: 8 out of 10. 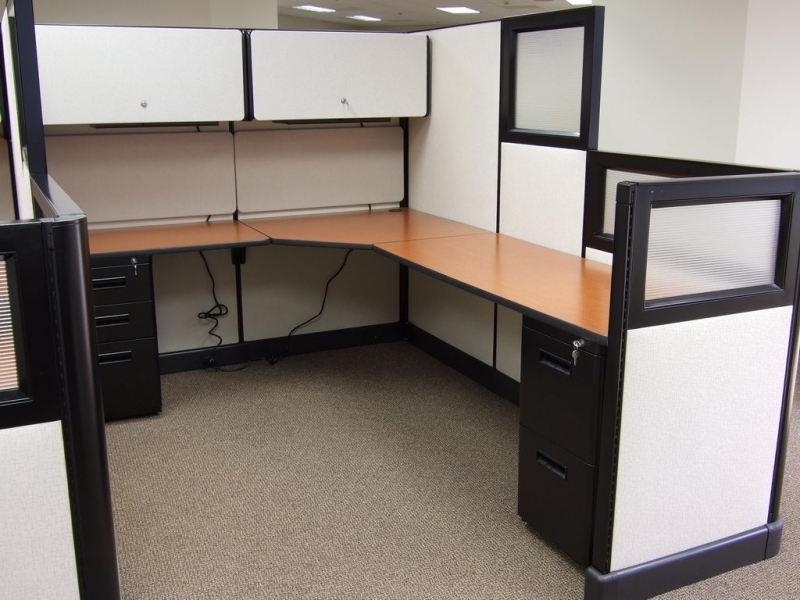 Description: 8) like new Ethospace workstations with tall exterior walls and lower interior walls for more collaboration among team members. 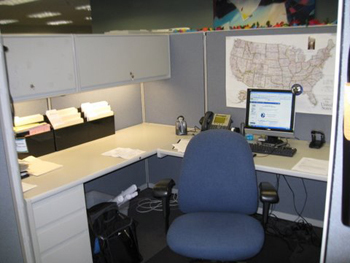 Every station includes 1 box/box/file pedestal, 2 overhead cabinets with.. 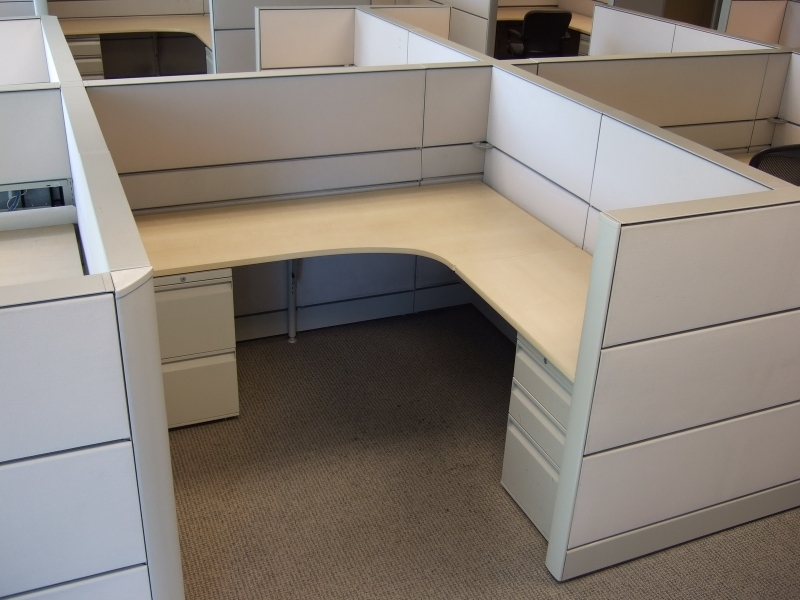 Description: 7 Steelcase Enhanced Bullet Shaped Manager Stations. Condition is 8 out of 10. Location is Northern CA. Available Now. 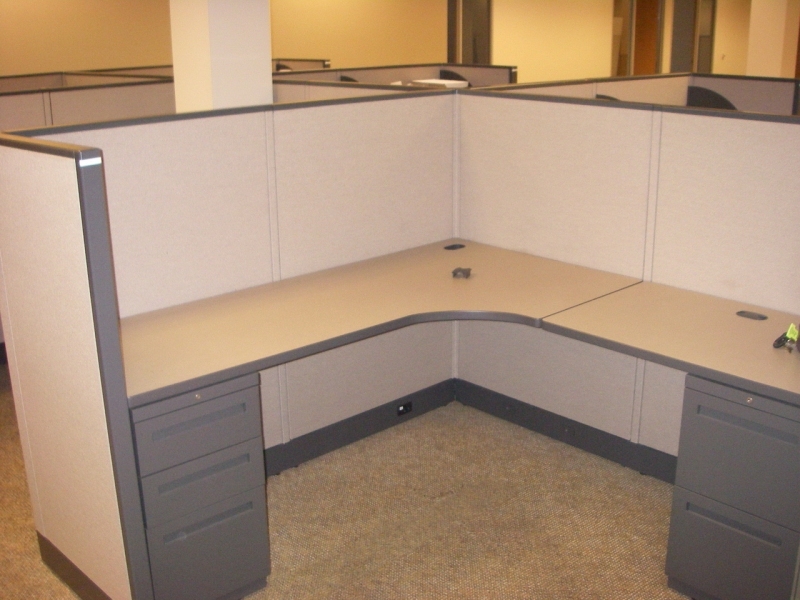 Description: We will be loading 200 Stations of Herman Miller 8x8 beginning Monday Jan. 12th. These Stations are Powered and Loaded. Loading out of The Bay Area. Pictures will be available Monday morning. Call my .. 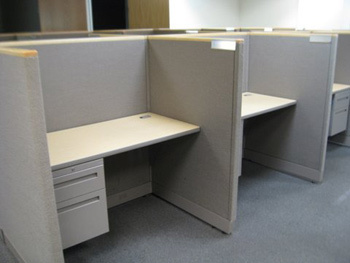 Description: MFC announces their latest acquisition of Allsteel Cubicles. 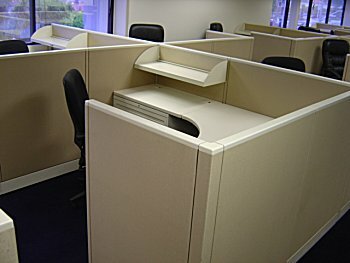 These cubicles are standing in Irvine CA. They are only 2 years old and are rated a 9 out of 10. 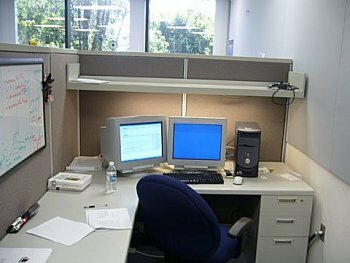 These are contemporary workstations with a..